Do you want personalized advice? 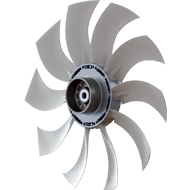 LOW CONSUMPTION propeller.10 SICKLE-profile blades with variable and progressive pitch with 8 adjustment points. TEYME’s patented special design. TURBO lower channel retrieves without extra consumption a 16,50% out of the air which in other sprayers is wasted, increasing its flow rate and improving the drift effect caused by the speed of the march. Gear box 2 speeds + neutral point. TEYME’s special ratio. 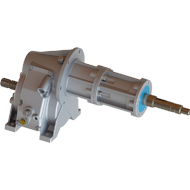 Capable of transferring big power.Centrifugal 3-shoes ZAMAK clutch with smooth and progressive starting. 11 blades steel rear static deflector. 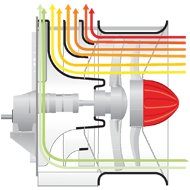 It provides radial air with turbulences. Distribution 50% and 50%. 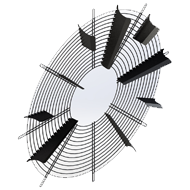 Ø1015mm X 500mm aerodynamic stainless steel blower housing, 4 Channels A, B, C, D. The channels’ system increases a 17% the air production. It prevents the faster upper air from bumping into the slower one of the central area. Air exit adjustable from 22m/s to 44 m/s. A, B, C channels width adjustable by means of sliding device: min. 415mm. max. 475mm. and air speeds, from 22m/sec. to 44m/sec. To adjust the treatments depending on the needs of application. 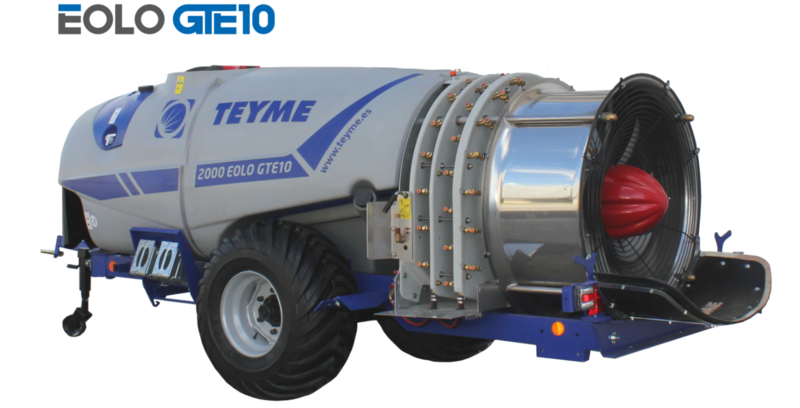 TEYME’s exclusive advantage Thanks to the width of the channels, it allows 50 % faster marching speeds with regards to the standard sprayers. Reinforced frame, designed in steel plate and laser-manufactured, which allow us its chain production and a perfect result, providing the machine with utmost stiffness. 3 Levels* which achieve a constant and homogeneous mixing in high, medium and low pressure. Full sweeping of the bottom. *Depending on the capacity of the tank. 44 jets ADSTC anti-dripping double steerable turning with stopcock closing device: with 2 ceramic nozzles per jet distributed in A, B and C channels. Top quality and uniform thickness polyethylene tanks. 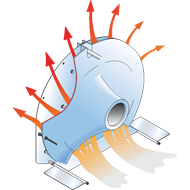 Provided with: Main tank with two flip-top lids, rinsing auxiliary tank (10%) and sanitary water tank 18l. Capacities: 1.500, 2.000, 3.000 and 4.000l. Against whirlpool. Full emptying even in 10% slopes. Absence of dead areas. Easy rinsing. 2 transparent level gauges. 1 on front* + 1 on side. 1 BASKET Filter in the filling mouth of the tank. Fixed axles provided with hydraulic brake: Center-wheel to center wheel 1.350mm in 2.000l, 1.400mm in 3.000l and 1.650mm in 4.000l.